Instilling in children a love of reading is one of the greatest gifts a parent can give a child and will impact on so many areas of a child’s life. Not just academically but their social and emotional development and imagination. How can parents encourage children to read when there are so many other things kids enjoy doing, most of which involve a some sort of screen? I believe the key for any age is about finding the ‘right book’. Every time your child experiences reading something boring, too challenging or too easy they will be put off. I have witnessed children’s attitude to reading simply transformed by the experience of reading one book they really enjoy. They need that feeling of not being able to put a book down and once they have found one, they may get into a whole series or genre and then the habit of reading becomes established. Finding that right book takes time. It may involve going to a specialist bookshop, speaking to the class teacher or your child’s peers, reading online reviews etc. What are the main factors to think about when choosing books? 1. 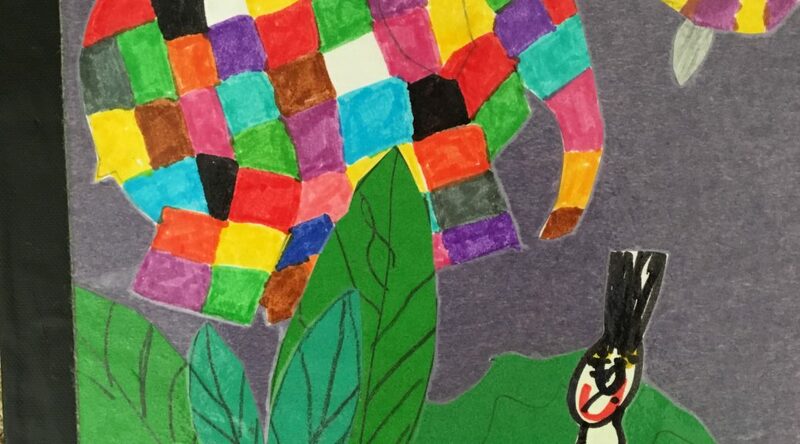 Is the book appealing and eye-catching, front cover bright, interesting illustrations? The length of words, sentences and vocabulary gives a good guide to the level of difficulty. If you are expecting your child to read the book on their own, it needs to be pitched at the right level. 2. Is the story worth telling? Does it read well aloud? 3. Is the language appropriate, natural and meaningful? Does it encourage prediction and anticipation? Richness in expression and imaginative use of words? Rhythm, rhyme & repetition help young children to predict the text. 4. Is the subject appropriate to the child in terms of age and maturity? Books should be linked to a child’s own interests and experience. 5. The ‘look of a book’ is important – psychological and social factors. If it seems too difficult or too easy, they may not want to try. understandable and capture the rhythms of real speech. 7. Is the print clear, well-spaced and appropriately sized? styles – comic strip, puzzle-solving, variety of typefaces. 8. Does the story give opportunities for further discussion? books? Teach children how to make their own choices. Respect their opinion and taste. experience of effortlessly breezing through books. 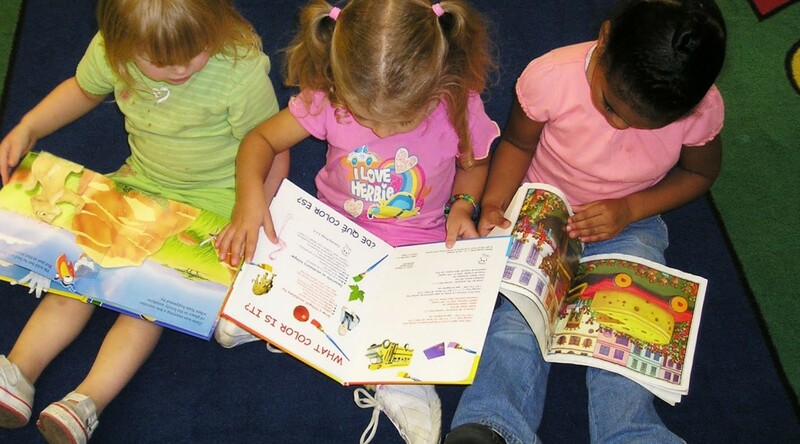 Easy and absorbing books treat the child as a reading expert. Encourage your children as much as possible to make their own choices without disapproval or enforcing your own views. It is also fine for them to dislike a book and be critical, as long as they can explain why. As they get older, they are far more likely to want to read something recommended by their peers than their parents. They just need to get into the habit of reading something even if it’s simply the back of a cereal packet or instructions to a game. Parents play a vital role in motivating their child and trying to instil a love of reading. Reading is the single best way to develop your child’s IQ and support their social and emotional development. However, there are hundreds of other things children would rather be doing these days, usually involving a screen. Don’t overload your children with too many activities. By the time they have been to after-school clubs, had dinner, bath, music practice, completed their homework, a bit of down time, . they fall into bed exhausted and have very little time to read. Ten minutes a night doesn’t really allow you to get into a book. That’s why the long summer holidays are a more productive time for reading. One trick is to say lights out unless you are reading. Every time your child experiences reading something boring, too challenging or too easy, they will be put off. I have witnessed children’s attitude to reading simply transformed by the experience of reading one book that they really enjoy. They need to discover that feeling of not being able to put a book down. It may take a few tries or involve going to a specialist bookshop, getting recommendations from the teacher or peers, reading online reviews. Don’t insist on them suffering through an uninspiring book. Expose children to a full range of different genres and styles. Follow their interests, tastes and experiences. Reading does not always have to involve a book. Reading should be an integral part of everyday life. It may be magazines, comics, magic tricks, instructions to a game, shop and road signs or the back of a cereal packet. Make sure they see you reading regularly — particularly relevant for fathers and sons. Make a “family reading time” at the weekend or on holiday where everyone sits together and reads their own thing. Children need to see that reading is an enjoyable and worthwhile thing to do. Even if they are confident independent readers, all ages enjoy being read to. With older children it gives you an opportunity to bring the text to life, discuss what they are reading and ensure that their comprehension is solid. This gives children a break and helps them access more difficult texts. Break up the character parts so you can take turns reading; you read one page and they read one. Read for a few minutes until you get to a very exciting bit and then ask them to continue and tell you what happens next. Encourage them to exchange ideas on what they thought about a book, reflect and be critical. Many authors have their own websites or forums. Respect your child’s opinions and tastes without banning certain books that they will just cling to more fiercely. Keep cool and be supportive, never show your fears or make a big issue if they are reluctant to read. 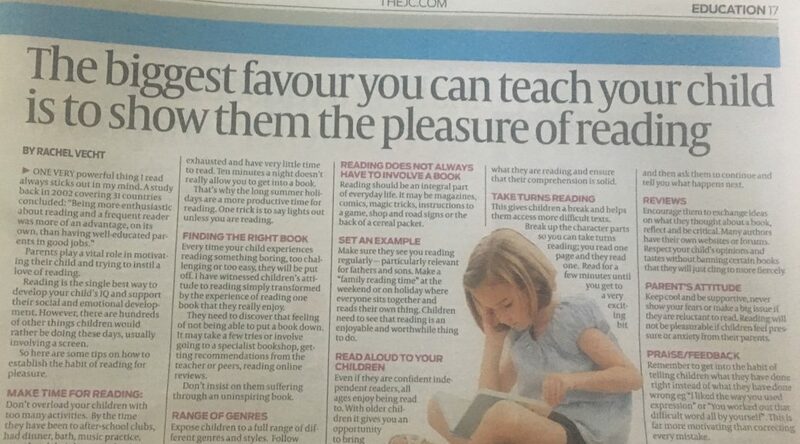 Reading will not be pleasurable if children feel pressure or anxiety from their parents. Remember to get into the habit of telling children what they have done right instead of what they have done wrong eg “I liked the way you used expression” or “You worked out that difficult word all by yourself”. This is far more motivating than correcting every mistake. Low literacy levels undermine the UK’s economic competitiveness and can create huge barriers to social mobility. It is estimated that poor literacy skills cost the taxpayer 2.5 billion every year, at a direct cost to business. The Literacy Trust state that in some disadvantaged areas in the country, 35% of the population lack the literacy skills expected of an 11 year old. For those affected, this compromises employability, health, confidence and happiness. In 2016, the National Literacy Forum launched the Vision for Literacy Business Pledge to encourage the UK business community to join the national literacy campaign and help close the literacy gap. At the start of the year, 44 businesses from a wide range of sectors signed a pledge for one year to raise literacy levels. It involves committing to take action in three distinct areas: engaging employees in the workplace, supporting the local community and contributing to the national campaign. Quite a number of the signatories were law firms including: Baker & McKenzie, Berwin Leighton Paisner, Bird & Bird, Nabarro, Norton Rose Fulbright, Clifford Chance, Pinsent Masons, Mayer Brown, Slaughter & May and Travers Smith. These firms have undertaken a wide range of activities – from workplace campaigns highlight the importance of reading for enjoyment.to volunteering in schools, libraries, providing work experience and on a national level using various networks to raise awareness and build support to tackle the Literacy gap challenge. For example, BLP helps in the local community by recruiting more volunteers for their long running reading scheme at a school in Newham. Further afield the firm has provided work experience, careers advice and skills development and supported the East London Children’s University. Employees were engaged by relaunching an in-house charity book library. Pinsent Masons reach over 600 students each year by supporting 12 schools every year. 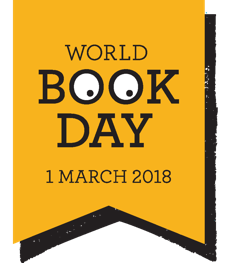 It also supports the goals of other high-profile literacy campaigns such as Read On, Get On, which works to a vision of all children reading well, at age 11, by 2025. Kate Fergusson, head of responsible business at Pinsents, says: “Continuing commercial success relies on the education and employability of the young people in our local communities, and ultimately the stability of those communities. Being a responsible business wholly reinforces our strategy to attract, retain and enable talented people. Chris Edwards, corporate social responsibility and diversity manager at Travers Smith, says his firm signed the pledge to send a positive external message of its commitment to improving social mobility by boosting literacy levels. The firm helps to run a range of schemes. Participation is actively encouraged, and a number of partners and senior business managers take a lead on efforts. However, another very important aspect of the pledge involves engaging employees as parents to raise the profile of literacy for the sake of their own children. In 2016 Travers Smith employees met during their lunch hours for seminars on a range of subjects – such as instilling in children a love of books and reading, understanding how reading is taught in schools, and practical tips for what parents can achieve at home. There was also a seminar on developing children’s writing skills. The seminars run by Educating Matters can be webinars or workplace clinics, covering a wide range of parenting-related challenges. As well as literacy, firms have covered numeracy, homework, exam preparation, children’s use of technology and screens, choosing schools, motivation, self-esteem, emotional intelligence and creating more harmony between siblings. Having sessions like these at work also promotes an ongoing internal support network for parents, and may serve to normalise common challenges they face. Indeed, they may be one of the only opportunities for employees (irrespective of title or role) to meet as parents – and equals. It’s rare they’d have another, similarly relaxed forum in which to share stories or advice while at work. Parents are continually challenged to balance work productivity with meeting their family responsibilities. And if an employer is seen as unsupportive of caring responsibilities, it’s unsurprising if that affects team morale, and eventually drains talent, with potentially serious cost implications. There are benefits to providing non-work-related support for both firm and employees. Recognising this, many firms have established their own networks, or actively promote external alternatives, such as Cityparents. For employers, this is an opportunity to demonstrate concern and empathy, enhancing the firm’s image as an employer of choice. It also signals that the firm takes work-life balance seriously, knowing that if employees feel less stressed and guilty about time spent away from home, they’ll be more engaged and focused, and ultimately more productive, at work. 1 The absolute key is finding ‘the right book’. Every time a child experiences reading something boring, too challenging or too easy, they’ll be put off. On the other hand, children’s attitudes to reading can be transformed by reading one book they really enjoy. 2 Reading doesn’t always have to involve a book. It should be part of everyday life. It may be newspapers, magazines, comics, magic tricks, instructions to a game, road signs, a TV guide or the back of a cereal packet. 3 Parents are role models for children. Make sure they see you reading regularly – particularly relevant for fathers and sons. Have ‘family reading time’ at the weekend where everyone sits together and reads their own thing. 4 Read aloud to your children, even if they are confident, independent readers. It gives parents an opportunity to discuss what they’re reading and ensure that their comprehension is solid. 5 Make time. Don’t overload children with too many extracurricular activities. And longer periods of uninterrupted time, such as weekends or school holidays, are a more productive time to build the habit. One trick – say: ‘Lights out unless you’re reading! Making books is an enjoyable, creative activity that develops children’s reading and writing skills. Homemade books also make a great gift and are more meaningful if your child creates one with an audience mind. Watch below for some ideas around using stories children know well as a model for their own writing. By sharing books with young children, parents are teaching them an enormous amount about how books work. Children find it much easier when they come to learning to read at school if they already have this knowledge about the features of books. It is not something parents need to directly teach as most young children (under 4s) will pick up the physical features of how books work if they are read to regularly. However it is useful to make you aware and lay out explicitly what you are teaching your child when you read to them.